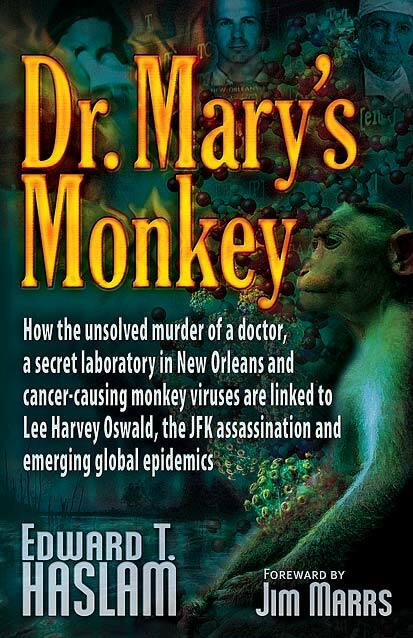 How did the discovery of cancer-causing monkey viruses in polio vaccines trigger a covert bio-weapon research project involving Lee Harvey Oswald, Fidel Castro, and the brutal murder of Dr. Mary Sherman? In 1960, medical studies determined that the Salk injectable polio vaccine (IPV) contained the Simian Virus 40 (SV40). SV40 is a cancer-causing virus originating from minced rhesus monkey kidney cells that were used to manufacture the polio vaccine. Medical researchers attribute the elevated rise in soft-tissue cancers in the last 50 years, many of which were almost unknown before the introduction of the polio vaccine, to the SV40 virus contamination. Soon after the discovery of the cancer-causing virus, the U.S. Government commissioned covert projects with the purpose of weaponizing cancer. Dr. Alton Ochsner, who pioneered early studies linking smoking to cancer, was instrumental in overseeing the cancer-causing virus project in New Orleans. His hospital was one of the 159 covert research centers established by the CIA. Dr. Mary Sherman, an expert in cancer research, was selected to supervise the secret research related to the SV40 virus. The monkey viruses were radiated by a linear particular accelerator to alter the genetic components in the virus. The monkey viruses would then be injected into mice to study the developing tumors. In 1964, Dr. Sherman was found brutally murdered in her apartment (she had been stabbed multiple times and her right arm and rib cage had been burnt away). Her fascinating story is detailed in the book Dr. Mary’s Monkey. 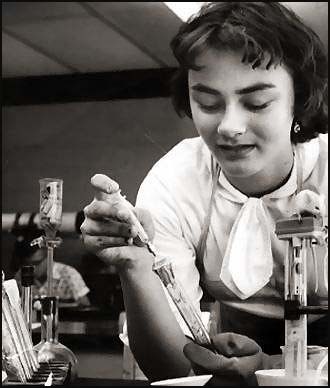 In the spring of 1963, 19-year-old Judyth Vary Baker was invited to join Dr. Ochsner in New Orleans. Baker was an exceptionally gifted student from Florida dedicated to cancer research. Soon after arriving in New Orleans, she began a romantic relationship with Lee Harvey Oswald, who informed her of his role as an intelligence agent. Oswald introduced Baker to David Ferrie, who according to Jim Garrison, was a key figure in the JFK assassination and “one of history’s most important individuals.” Ferrie revealed information to Baker about a secret government assassination plot directed against Fidel Castro. By injecting Castro with cancer, the U.S. Government would avoid the usual suspicion that a violent assassination would generate. Baker and Oswald were assigned cover jobs at the Reily Coffee Company (confirmed by Baker’s pay stubs and tax statements). Her real work was in Ferrie’s apartment, portions of which had been converted into a laboratory. Baker worked with 50-60 mice at a time, which had developed tumors due to cancer injections. Baker would kill the mice, and then cut off and weigh the tumors. The excised tumor material would then be blended together. Baker would then make tissue cell cultures from the most vigorous and deadly cancers. She would then compile reports on the tests and take them to Dr. Mary Sherman to review. Oswald acted as a go between for the covert program participants, among other assigned clandestine activities. Baker learned that prisoners from the Angola Penitentiary were to be used as guinea pigs for testing the weaponized cancer-causing virus. In a written letter, Baker stated ethical objections to the testing that made her an enemy of Dr. Ochsner. As a result, she left the project and returned to Florida with her husband. Soon after, Oswald embarked upon a failed attempt to secure a transit visa to Cuba via Mexico City to transport the weaponized cancer virus. The below clip focuses on Judyth Vary Baker’s role in the New Orleans bio-weapon project and her relationship with Oswald. It is from a documentary titled The Men Who Killed Kennedy which aired on the History Channel. It has since been banned from rebroadcast. Simian Virus 40 (SV40): A Cancer Causing Monkey Virus from FDA-Approved Vaccines (Excerpt) -Michael E. Horwin, M.A., J.D. I was performing research into weaponized polio, viruses and SV-40; I was surprised this link was near the top of the search results. This was very informative but now I have much more to research.